It is a very versatile product. Most of the other available steam mops in the market are only useful for cleaning hard floor surfaces (marble, granite, tile, laminate, linoleum, vinyl, etc.). On the other hand, the Cleaner Mop can be used on hardwood floors and soft surfaces as well. It also comes with a carpet glider which allows users to clean and disinfect carpets, mattresses, rugs, pillows and upholstery. Steam mops basically heat water in its tank to produce steam vapor. This is what is used to loosen up the dirt on the floor’s surface and to kill mold, dust mites, bacteria and viruses, and germs hiding even in the smallest cracks. Most steam mops within Smart Living’s product and price range can only produce steam between 198 and 212° F. Smart Living Steam Mops uses higher temperature steam that goes as high as 230° F for more effective cleaning. There are some steam mops that use disposable microfiber pads that are used in absorbing the dirt and residue from surfaces. It uses detachable microfiber pads that are just as effective but are washable and reusable. Each unit also comes with an extra pad so that you can continue cleaning even while the soiled pad is in the washing machine. All Smart Living Cleaner have adjustable handles to match its user’s height. Most manufacturers of steam mops do not see the need of designing their units with adjustable handles assuming that even without one, users generally wouldn’t be required to stoop. This is not always true though, as some consumers request for longer or shorter handles to make it more comfortable for them to use. The adjustable handles are also useful when there is a need to clean areas that are harder to reach without being able to lengthen the mop. 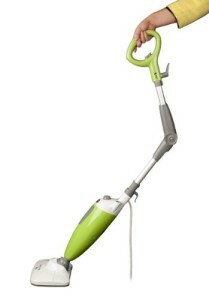 Unlike other steam mops in the market, the Steam Cleaner is designed in such a way that the water tank is positioned directly above the motor. Aside from helping give it a minimalist and lightweight design, this also helps lengthen the motor’s shelf life. Its non-pressurized tank also makes it safe for users to refill the tank without having to turn the unit off and waiting for it to cool each time it runs out of water. It is true that there are a lot of other manufacturers now selling steam mops. Among them, there is only a handful that can be truly trusted to live up to its promises, and from these, even fewer that are affordable. In choosing this Mop, you can be assured that you are getting all the benefits of more high-end units for the price of a mid-range one. You visit here for more information about the product.